Your wedding exit should be one for the books. Your friends have gathered to send you off with well wishes for a happy future. Give them something to remember! Inform your wedding planner or wedding party and prepare for the epic send off with wedding sparklers! Imagine the wedding pictures with sparklers you will get. Now, let's talk about that wedding send off. Do you want to include the whole wedding or just your wedding party? You will need to determine the number to properly order your wedding sparklers. Next, what size wedding sparklers do you need? We recommend longer sparklers for a longer burn time. With a longer burn time, you are guaranteed a few more minutes of burn time in case you are running late, or if you want a longer time for photos. You want to be sure the send off will be one that you'll never forget. Our 36 inch sparklers fit the bill for your send off needs. Read more about the burn time and packages they come in! With 36 inch wedding sparklers, you will create the BEST wedding exit; we guarantee it! Instruct your wedding party and/or guests to line up accordingly as you prepare for your send off. 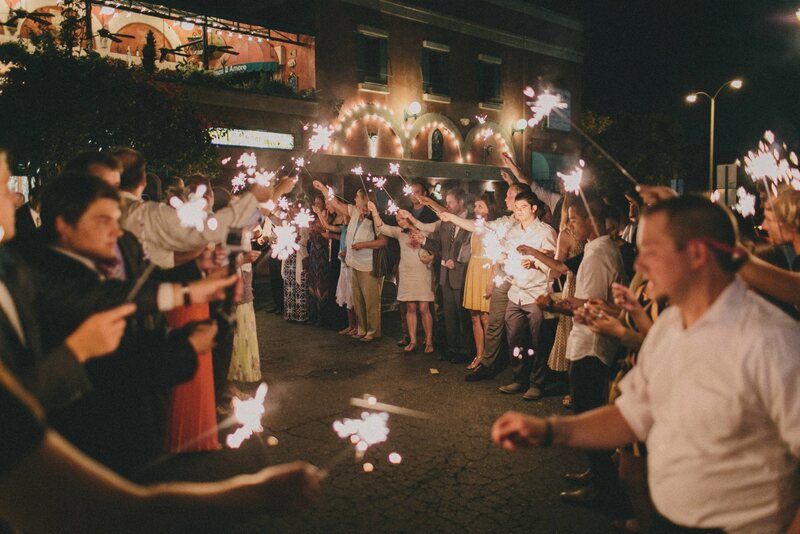 On your cue, have your guests light the 36 inch wedding sparklers and hold them high, it’s showtime! Grab your loved one by the hand and prepare to walk together, hand in hand as a married couple for the first time! This send off will be a magical moment you will never forget. Visit our website and purchase or 36 inch sparklers. You will have a send off filled with love and beautifully lit wedding sparklers! We suggest a 36 inch sparklers to ensure a magical send off. Read the reviews from past customers who rave about this parkour set! You can do so here.